We’ve met some incredible people since we opened in March 2009. Here are some testimonials, transformations, and shoutouts we’ve received from our #ArrichionFamily! I’ve been going to Arrichion Hot Yoga almost every day for the past 3 years. I never imagined I would find a yoga studio that offered a wide variety of classes along with circuit and weight training that pushed me every day, combined with teachers always willing to challenge and support me, and members with whom I would grow close and eventually call true friends. After my first few classes at Arrichion, I knew that I had finally found all three. The atmosphere created by the teachers and members stands out the most and is unlike any other yoga studio I have ever attended. Each day, you can come as you are and know that you will be surrounded by good people encouraging you to help reach your personal fitness goals, whatever they may be. The workouts are intense and the class schedule is set up in a way that offers a wide range of classes at different times throughout the day to accommodate all types of home and work schedules. Of the core classes that I take Monday through Saturday, each one is different than the other and getting to the studio at some point is never an issue, even with a busy schedule and two small kids at home. 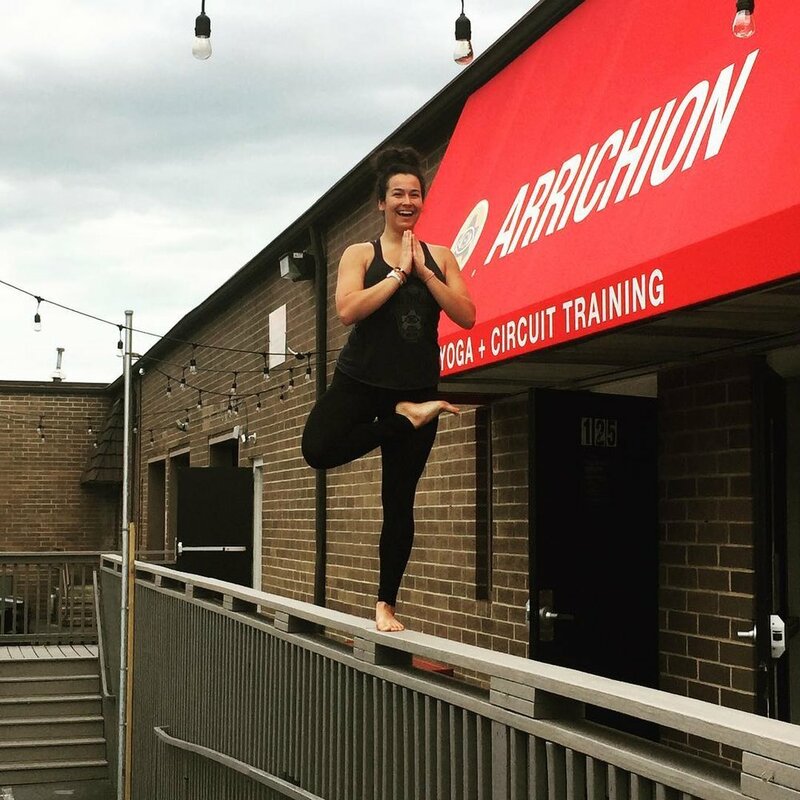 I think Arrichion is one of the best yoga/circuit places in Charlotte. I’ve been a client here for almost 3 years and have built some timeless relationships through our Arrichion family. There’s an intensity level for beginners to advance yogis/gym buffs. It truly makes me break a sweat whether I go 3x a week or 8x a week.